You are here: Home / Week by Week / All Hail the Weather! Well that was quite a storm! The skies looked dark, so we stopped for dinner before heading home. Good thing we did! By the way, this isn’t snow. It was still in the 50s (down from almost 80 at 4pm). This, my friends is hail. 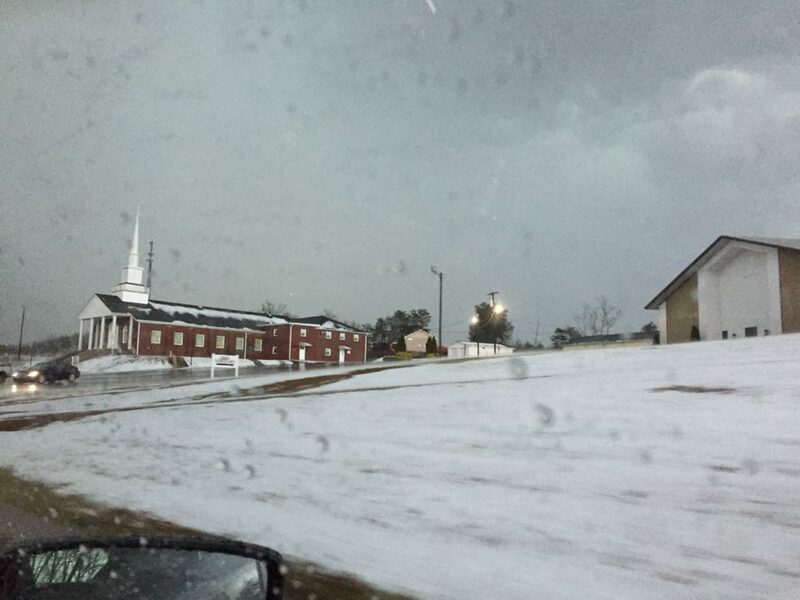 On the way home, it was up to 3″ deep.Happily, when we got home we didn’t have hail on the garden. Whew! 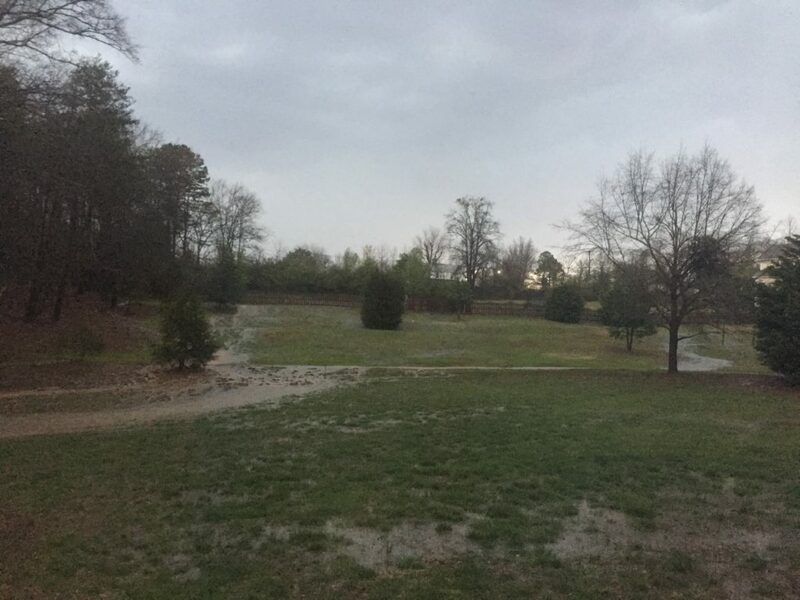 It rained hard, though, so we had a river flowing through the backyard. It was dark when the above photo was taken, so excuse the quality! It rained for hours and this morning I said let’s check the rain gauge. What??? 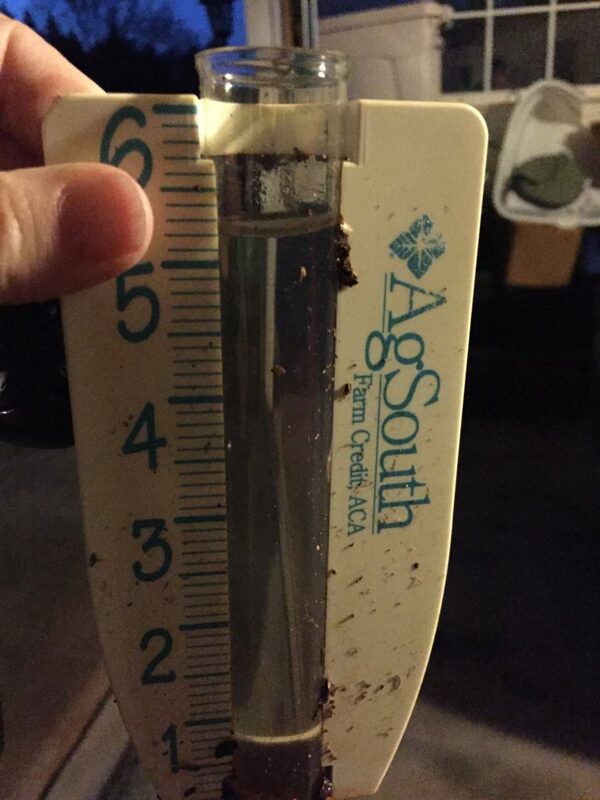 That is over 5″ of rain overnight. Yowza! At least the garden got plenty of water!